Cremation urns are our passion. Here at Urns Northwest, we love to celebrate life, and we want to help you honor your loved one with a lasting and beautiful memorial urn. To that end, we've designed, created, and collected the finest cremation urns available. This collection started over 14 years ago with premium wood urns build by local Oregon craftsmen, and has expanded to include an incredible array of fine wood memorials and more - biodegradable scattering urns to assist in returning your loved one to the earth, custom made ceramic urns hand-shaped by artisans, cultured marble, onyx, and granite urns made in the USA with exceptional quality. Cremation urns are our passion because we love people. We love helping you, we love supporting American-made products, we love giving back to the community, and we love matching a beautiful memorial urn to a cherished family member. We'll be here to help you in any way possible as you finish your quest to find the perfect memorial for your loved one. Cremation urns are our passion. We love to find, create, and distribute memorials of the highest quality craftsmanship. Our goal is to combine aesthetic beauty with affordable functionality while personalizing not only your loved one's memorial but also our service to you. 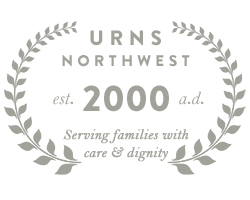 At Urns Northwest, we've served the public through our online store for the past fourteen years. Based primarily in Oregon but shipping from (and to!) 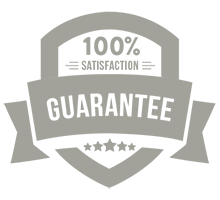 a wide variety of locations, we are proud to offer a wide variety of high-quality cremation urns in many styles shipped directly to your door. If you have any questions about our products, need advice in finding the right funeral urn, burial vault, memorial gift, or personalized inscription, you can contact us through phone (877-900-5309), email, or chat. We're always eager to help! We also have made as much information on cremation urns available to you as possible on our regularly-updated blog and through our online resources pages. You'll find answers to FAQs, videos, and guides to helpful topics such as how to open an urn, eco-friendly burial, companion urns, scattering, and much more. The first question most people have when shopping for an urn is, "What size urn do I need?" We have a handy article here, but the simplest way to estimate the size is to figure one pound of the individual's weight will require one cubic inch of capacity. This means that a 200 lbs person will need an urn with a capacity of 200 cubic inches. Each of our urns will have a description which will tell you how many cubic inches it holds. Generally, most are around 200 cubic inches but it can vary depending on the design. Now you're ready to begin checking out our many urn and memorial categories or help articles... browse away, and let us know how we can help!